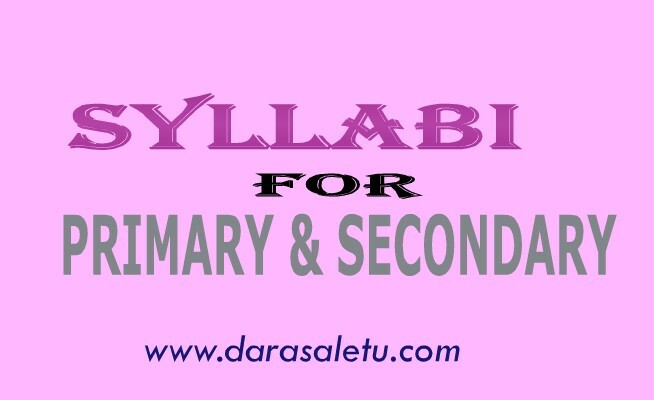 Home / SYLLABUS / SYLLABI FOR PRIMARY UP TO SECONDARY EDUCATION IN TANZANIA. SYLLABI FOR PRIMARY UP TO SECONDARY EDUCATION IN TANZANIA. 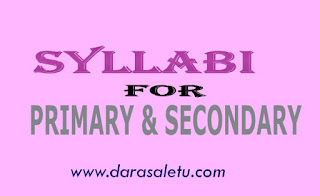 The following is the list of syllabus and curriculum for primary up to seconadry education in Tanzania. It can be viewable or downlodable in pdf through the link below. section B will be consist of three parts. Part I will be on History and Geography, part II on Physics and Mathematics and part III on Biology and Chemistry. Candidates will be required to confine themselves to onepart only.